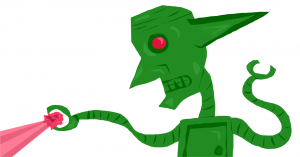 The reality is: RoboAdvisors need Robo-Clients. They are specific kind of client, the clients that don’t have any “human” needs like fear of running out of money, or fear of buying that 2nd home or the joys of using their cash flow for that new yacht they’ve always wanted. That’s because RoboAdvisors need clients that are robo themselves — they don’t think of needs as human. I think ultimately that is where the need for and the drive for having roboadvisors is a weak argument because it ultimately focuses more on the technology than it does the system and taking the real clients’ needs into account. Just like a robo(driverless) car does still need a driver in the driver’s seat, so do roboadvisors in that there are just some needs, psychological tendencies that still require a live, breathing, caring, empathetic human advisor to be of service. Until we get to a work where we have androids like WestWorld, the ability of the presence of an advisor is something that is much needed if not more so than ever before. For most of the 20th century, a lot of fears have been manifested in AI and robots taking over world — just take a look at blockbuster films like the Terminator franchise. We are still living out that fear in the way we run things. The other side of the perspective is that technology is important to support human advisors and people to do the higher functioning work instead of the menial work that has defined us since the dawn of the Industrial Revolution. My contention is that Roboadvisors picks up the low-level types of work, the realm of our (collective and individual) “work” will move toward the top of Maslow’s hierarchy. Afterall, the primary job of the Advisor is for you to be a trusted partner. 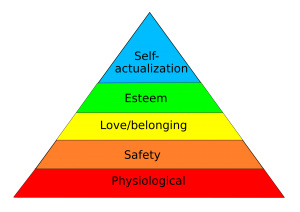 As the basic tasks to complete what needs to be done, the job of the Advisor can be spent to focus more on the Self-Actualization at the top of Maslow’s Hierarchy Pyramid. In many ways the job of the Advisor, your job is to break through the lower levels, set up that foundation so that their focus could be the clarity of higher levels of that hierarchy. Your job as the Advisor is to cut through the noise and be the one that helps them self-actualize their goals, their dreams and walk with them as they achieve and sustain that level of self-actualization. So Roboadvisors are your friends. Roboadvisors as a generic idea is how you’ll continue to build your practice made up of real people with real problems. Real clients who want to improve, create the world they want to live in and you’re going to support them to get there. Interested in moving up the Maslow’s Hierarchy with your client?